If you want to design and develop games, there’s no substitute for strong hands-on experience with modern techniques and tools—and that is exactly what this book provides. 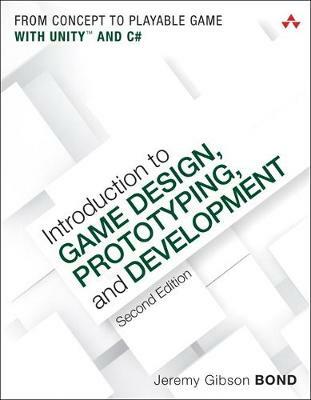 The first edition was frequently the top-selling game design book on Amazon, with more than 70% of the reviews being 5 stars. In a testament to the iterative process of design, this new edition includes hundreds of improvements throughout the text, all designed to make the book easier to understand and even more useful. Award-winning game designer and professor Jeremy Gibson Bond has spent more than a decade teaching game design and building great games. In that time, his most successful students have been those who combine knowledge of three critical disciplines: game design theory, rapid iterative prototyping, and practical programming.